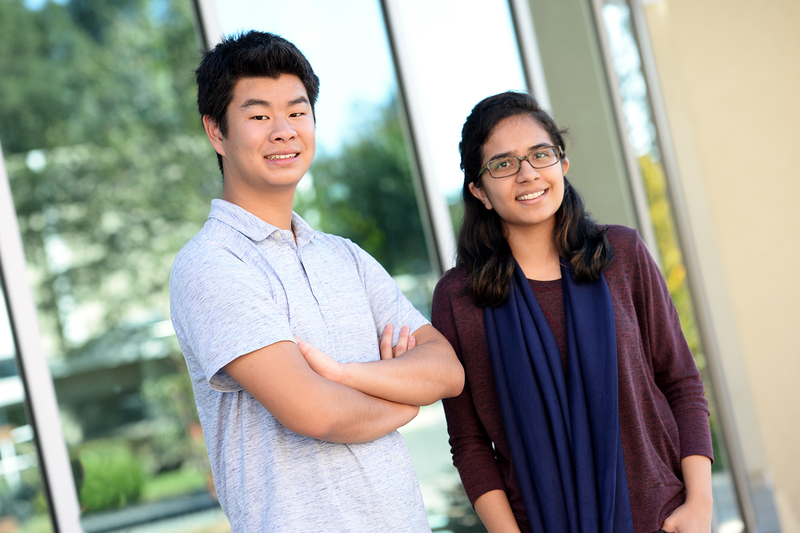 UPDATE: Two students, Evani Radiya-Dixit and David Zhu, both grade 11, have advanced as regional finalists in the Siemens Competition in Math, Science & Technology! Of the 17 California finalists, 10 are from the Bay Area, while seven are from Southern California. Only two other schools in the state had two finalists. New York State also had 17 finalists, followed by Texas with 11. The full list of regional finalists can be found here. The Siemens Competition in Math, Science & Technology is considered the nation’s premier research competition for high school students. A total of 97 regional finalists from throughout the U.S. now advance to one of six regional competitions held over three consecutive weekends in November at the Massachusetts Institute of Technology (Nov. 6-7); Georgia Institute of Technology (Nov. 6-7); University of Notre Dame (Nov. 13-14); University of Texas at Austin (Nov. 13-14); California Institute of Technology (Nov. 20-21); and Carnegie Mellon University (Nov. 20-21). Winners of the regional events advance to the National Finals at The George Washington University in Washington, D.C., Dec. 6-8, where $500,000 in scholarships will be awarded, including two top prizes of $100,000. The competition awards a $1,000 scholarship to each regional finalist, in addition to one $3,000 prize to an individual winner and a $6,000 prize to a team winner at each regional competition. A complete list of finalists and their projects is available at www.siemens-foundation.org preceding each regional event. The Siemens Foundation announced today that 13 Harker upper school students had been named semifinalists in this year’s Siemens Competition in Math, Science & Technology. Harker had the most semifinalists of any California school. Vivek Bharadwaj, Rishabh Chandra, Anthony Luo and Jonathan Ma, grade 12; Rishab Gargeya, Shasvat Jawahar, Alex Mo, Evani Radiya-Dixit, Venkat Sankar, Manan Shah, Arjun Subramaniam and David Zhu, grade 11; and Brandon Mo, grade 10. A total of 466 semifinalists were chosen from the 1,700 submissions received by Siemens. These students are now eligible to become regional finalists and travel to Washington, D.C., for the finals in December.